Most studies have suggested that ethnic factors impact significantly on systemic sclerosis. Extensive epidemiologic studies have been carried out in white individuals, and limited data suggest that blacks are affected twice as frequently; Japanese patients have a lower prevalence than whites. This highest rate that has been described has been in Choctaw Native Americans. Blacks have a lower age at onset, as well as a higher frequency of diffuse skin involvement, pulmonary disease, and an overall worse prognosis than whites. Limited data in Hispanics and Native Americans suggest that they have more severe disease than whites. Whites have the highest frequency of anti-centromere antibodies (associated with limited skin involvement and less pulmonary fibrosis), whereas blacks have a higher frequency of anti-ribonucleoprotein and fibrillarin autoantibodies; the latter is a nucleolar antibody associated with a poorer prognosis. Ethnic differences are also seen for associations with non-major histocompatibility complex genes, such as FBN1 (fibrillin) genes, in Choctaws and Japanese and SPARC (osteonectin) in whites, Hispanics, and Choctaws. 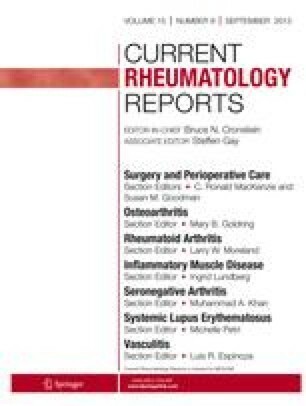 Although these facts do not entirely rule out socioeconomic factors associated with ethnicity, nevertheless ethnicity has an important impact on the pathogenesis of systemic sclerosis, perhaps because of genetic factors.